I've been a jazz fan since the mid-50s. I started out listening to Glenn Miller, Benny Goodman, Tommy Dorsey, and Artie Shaw. I then graduated to Duke Ellington, The Modern Jazz Quartette, Dave Brubeck, and the West Coast sounds of Shorty Rogers, Jimmy Giuffre, and Chet Baker. 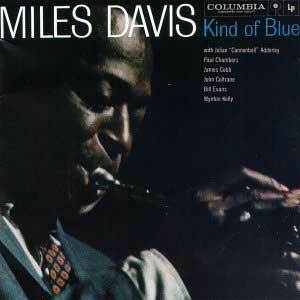 After that came Miles, Coltrane, Art Blakey, and Thelonius Monk. Other favorites are Gene Ammons and Stan Getz. In a more modern vein, I like Chuck Mangione and Mark Isham. My favorite vocalists include Chris Connor, June Christy, Jane Monheit, and Joe Williams. For the blues, I'm partial to Champion Jack Dupree, Shugie Otis, The Allman Brothers, and Stevie Ray Vaughan.